the owner resides in this city, We are bringing joy and art to our neighbors here in Buena park, We are Painting with Wine and creating masterpieces together. 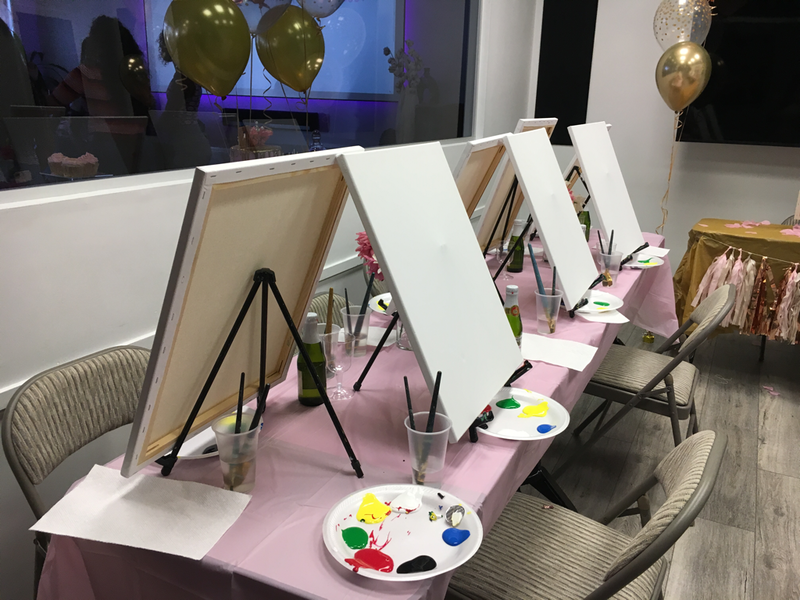 We have a Paint & sip Company local to the community, We do Private parties and also invite you to local restaurants like Rock n Brews in Buena Park and places in our neighboring cities including, Cerritos, La Mirada, Fullerton, La Palma, & Anaheim. you have probably lived in Buena park for a long time and probably haven't visited most of your neighboring restaurants and venues, with our Painting parties being hosted by us, It would be a great Idea to join us for a paint night hosted here in or near Buena Park. Get to see new places and People from your city. OR JUST BECAUSE! We host groups both big and small (10-100 people). We can host your party at one of our venues or one of your own in Buena Park, Ca. This includes private residence and corporate office buildings. Did You Know Painting Makes you Smarter? 8 reasons why Art makes you smarter. Leticia is an Entrepreneur, anything that has to do with DIY and business Leticia is all in, She Loves learning as well as teaching. Once she touched the paint brush she fell in love with painting and the way it makes people feel. She continues to expand her artistic palette by creating new artwork, and ways to make painting easy for others, everyone can create beautiful art work. Leticia wants to show people that they can be an artist too.